When you need a basic sharp blade for occasional tasks, the Derma-Safe Folding Razor Knife is the perfect light- to medium-duty cutting tool. 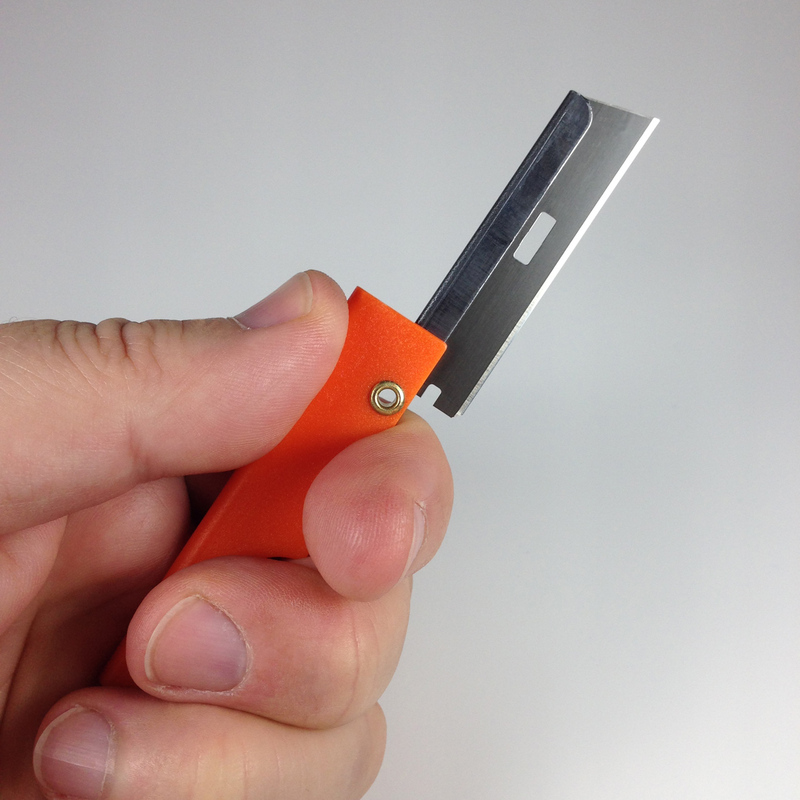 It’s an economical utility knife that weighs just 0.27 oz (7.6 g) and is less than 2.75 in. (70 mm) long to easily fit in your pack pocket, ditty bag, or first aid/survival kit. The blade is made of shaving-quality 400 series stainless steel (52-54 HRC) with a super sharp, triple-bevel, hollow-ground, plain edge. A plated-steel rib runs along the back to support the thin blade and provide protection for your thumb. 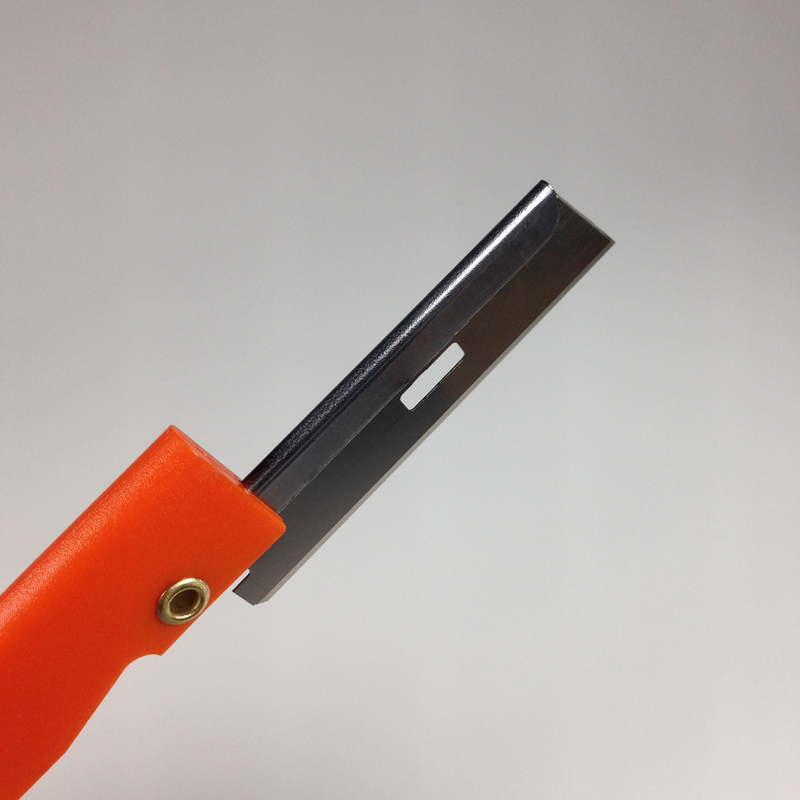 The blade folds smoothly into the plastic handle for safe storage. This knife is manufactured to MIL specs and has been used by the US military for years. lightweight and more significant/useful than carrying a simple razor blade but less weight and less cumbersome compared to a knife. Just what I needed. Replaced my knife with one of these and never looked back. Extremely sharp, simple, and light. It does everything I need it to do. I love this little ultralight blade! I was looking for a small quality blade for minor camp chores. Opens meal packages with ease and cuts cords in a snap. I was able to attach a lanyard through the small hole so I can attach to carabiner and hang from my pack. I have a couple of small razor knives. They are okay but the quality of the Derma-Safe Folding Razor Knife is A+. I bought a set of these to add them to my first-aid kit. I find the scissors that are in most kits are either good but heavy or lighter and flimsy. These are extremely sharp when new. We'll see how long they keep their edge over time. When swung open, the handle is big enough to have a firm grasp so I'm not worried that I'm going to lose control of the knife. The orange color makes it easy to find. When open, there isn't any flexing of the blade. It doesn't "lock" into place but when fully opened, it's completely parallel to the handle and won't accidentally move. It's easy to open but there's enough friction that it won't open by accident.